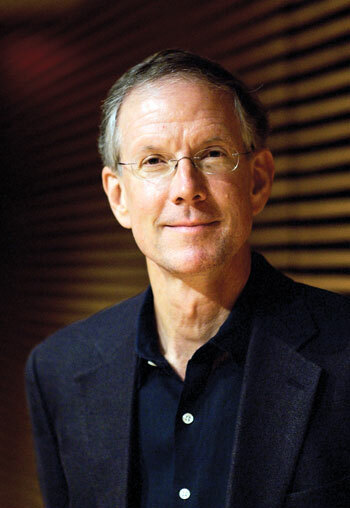 David T. Hansen from Columbia University, New York is at UBC’s Okanagan campus Tuesday, October 27. When: Tuesday, Oct. 27, at 4:30 p.m.
We all know teaching is a challenging job. And considering how technology has changed in the past few decades, the role of a teacher is not the same as it was 20 years ago. David T. Hansen, Director of the Program in Philosophy and Education at the Teachers College, Columbia University, New York City, is visiting UBC’s Okanagan campus on Tuesday, October 27 to discuss how a globalized world and increased exposure to new ideas is shaping the education of primary and secondary students. Hansen is the special guest of the Stirring Minds Series sponsored by UBC Okanagan’s Centre for Mindful Engagement and the Faculty of Education. The centre is a gathering place for researchers from across all disciplines and interests to explore the significances of mindful engagement. Named the Weinberg Professor in the Historical and Philosophical Foundations of Education at Columbia’s Teachers College, Hansen will discuss results from a recently completed, three-year inquiry, “The Person in the World Project.” A core question in the philosophical and field-based study examines what it means to be a teacher in our rapidly changing, globalized world. Hansen worked closely with 16 highly accomplished K-12 teachers, observing more than 200 classes they taught, meeting with them as a group for 21 extensive meetings, and organizing multiple individual interviews with each teacher. He says the teachers' deep experience attests to the rewards of teaching in our time, while also illuminating contemporary challenges that can hinder the integrity of the practice. For this free public event on Tuesday, Oct. 27 at 4:30 p.m., audience members are invited to bring questions and join the speaker and the Faculty of Education in EME 1101 (Education, Management and Engineering Building) at UBC’s Okanagan campus; parking in E Lot (pay parking in effect). Refreshments to follow.